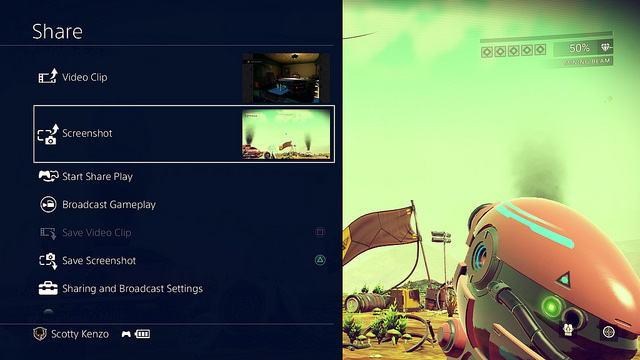 Sony refreshed the UI for the PS4, including a new popup notification screen, new backgrounds, and new redesigned icons for the XMB. I also noticed the sounds are slightly different. 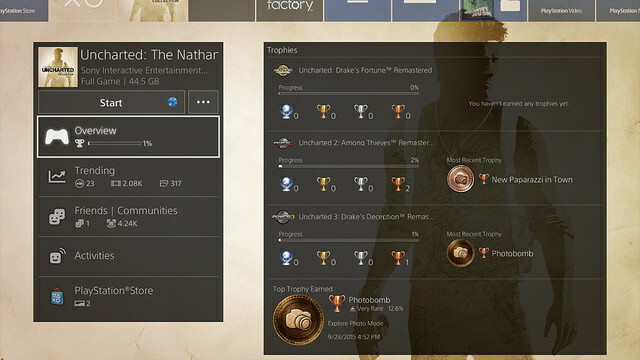 A much needed update, now you can better organize your folder items on your PS4! Thanks Sony! Not perfect but still better, and will help you declutter your games and apps. By pressing and holding the PS button on your Dualshock 4 controller it will bring up the quick menu. Now instead of covering the whole screen it only opens up a side window! Huge improvement. Also there have been a few more things added to the menu, including Sound and Devices, Close Application, Online Friends, Favorite Groups, Communities, Friends’ online status, and more. You can also customize the menu adding items of your choice. 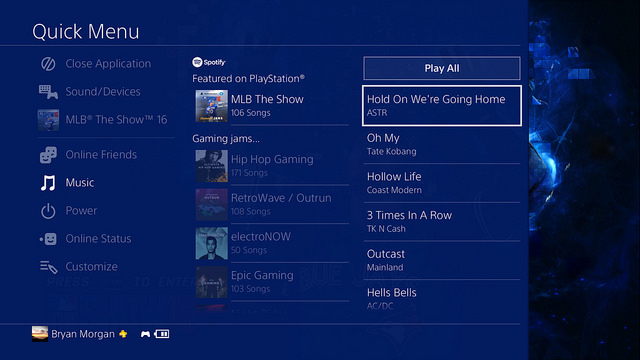 Now it also allows you to more easily control your music playing while you are playing game or doing other things right through the quick menu new sidebar! A huge and awesome improvement. There is also a Spotify feature, but I don’t use Spotify. If you do, you’ll probably like this update. A much, much needed update, now instead of bringing up a share screen when you didn’t want it taking up the whole screen, now it is only a sidebar! Still takes up half the screen but a massive and much-needed improvement. 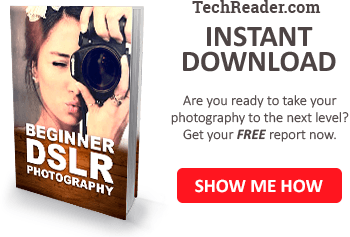 Also this sidebar lets you see screenshots and other things, and allows you to upload longer youtube clips. 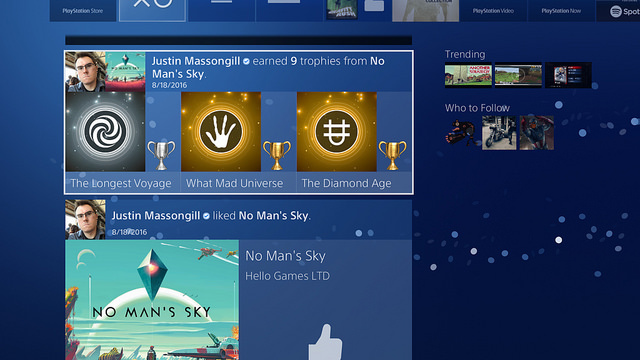 Now you can go in offline mode when viewing your trophies. 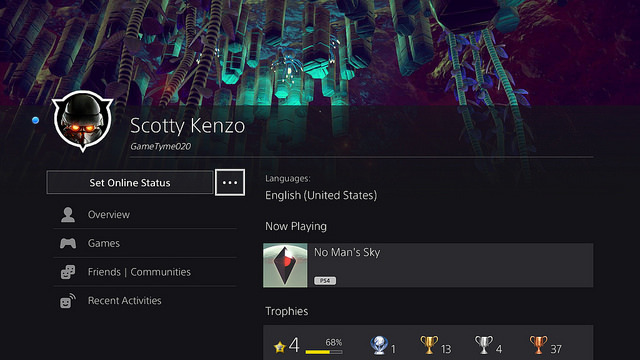 This was available for your profile since the last minor update, but now it’s available for offline view of your trophies too. User profiles have been redesigned with a cleaner and easier to use interface. There has been a minor redesign of the What’s new menu with a new activity feed and better usability. 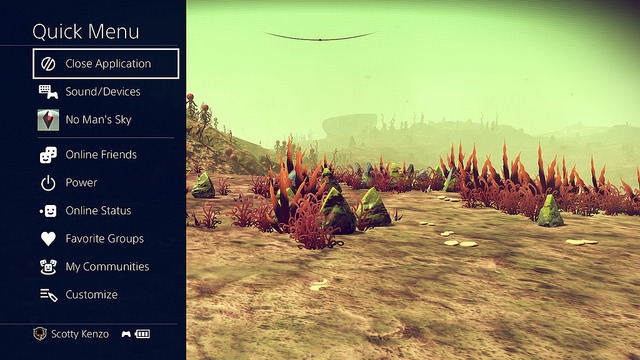 A similar update has also been added to the content info screen. They probably added this one in because PS4 Pro, the new “PS4 Slim” model is coming out in November. So they want people to be able to more easily transfer their content to their new PS4. 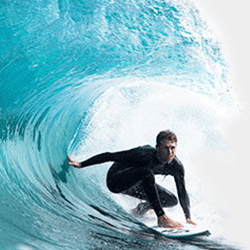 Now you’ll be able to do it over ethernet which will be very useful and much faster! PS4 Pro will be capable of HDR, you will be able to choose the option in the Video Output Options. It doesn’t look like this will be available on standard PS4 systems however. You might have heard rumors of backwards compatibility in the PS4 4.0 update. This is just a rumor. In fact, it is probable that in order for backwards compatibility to be possible, you would need to have a hardware update, not just a software update. Also the Media Player still has that bright blue background that needs to be changed to black or dark grey. Hope they fix that soon! What do you think? 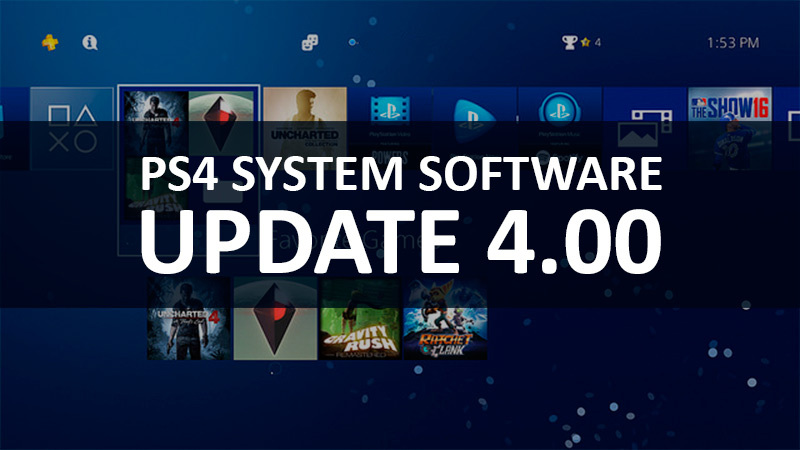 Do you like the new PS4 System Update 4.00 for the Playstation 4?